How to Create Engaging Social Media Content Fast! – The Official Kalix Blog. 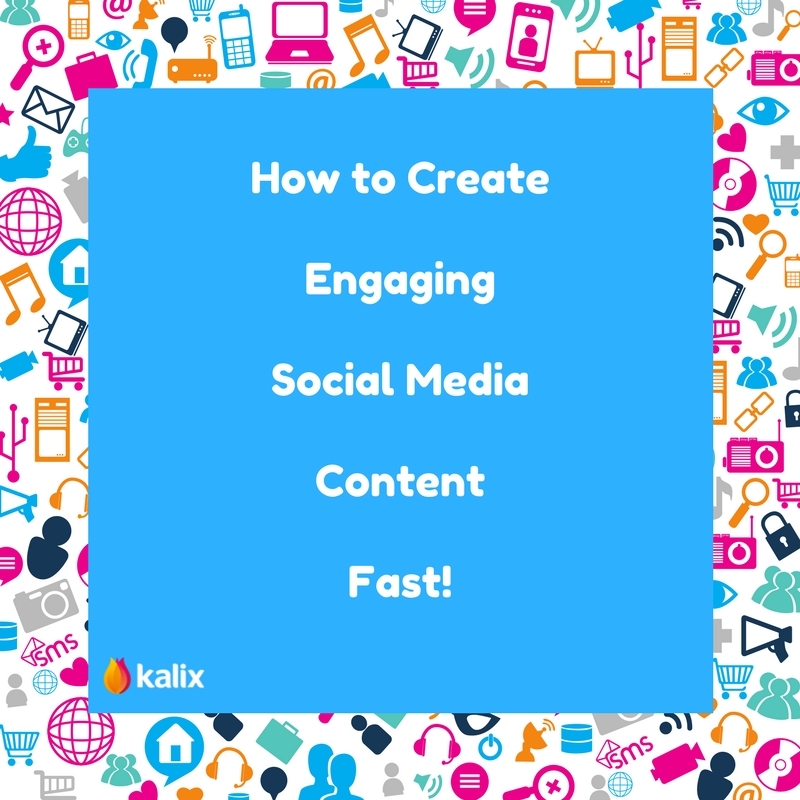 How to Create Engaging Social Media Content Fast! In our connected world, many private practice dietitians depend on social media platforms like Facebook or Twitter to reconnect with existing clients and locate new ones. When you’re time poor and running a busy practice, there are often not enough hours in the day to find engaging content for your social media feeds. The process can often seem overwhelming and of little value, if you’re not strategic about how you utilize these important marketing tools. It doesn’t have to be difficult to create engaging content for social media. With some easy tips and free tools, it is simple to create content that will reach potential clients and provide useful information to your followers. Each social media platform has a different personality and way of engagement. If your clientele is younger, they are more likely to be found on Instagram. Overwhelmed moms, frequent Pinterest and use it as a search engine. People aged 30-50 are active on Facebook. If you want to connect with your peers or establish yourself as an expert in the field, LinkedIn is a great way to connect. If you are totally new to social media, it may be worthwhile focusing on building your presence on just one platform initially. When feeling more confident, you can move on to other programs. It can be easy to grab some articles from your favorite blog or a Google search and share them on your page. However, don’t forget that images or video are often more engaging (and more likely to increase your following). How many times have you shared a great quote picture or a relevant video on your personal accounts? Tools like Facebook Live or Canva make it easy to create videos and images that are engaging and don’t take much of your time. Chances are you don’t have hours to spend posting on social media. Free, user-friendly scheduling tools such as Buffer or Hootsuite can allow you to schedule all your social media posts ahead of time. And even with the busiest schedule, your entire week’s social media posts could be scheduled within an hour or so, perhaps during one lunch break. Social media scheduling tools usually offer an array of other functionalities such as the ability to see what times your audience is checking their social media feeds and hence take guesswork of when to post. Some even suggest articles to post. Social media can be an affordable and efficient marketing tool. Using the tips described here can be your first step toward amplifying your social media presence, growing your practice and establishing yourself as an expert in your field.